Directions: From 422, take 345 south to Birdsboro, at the intersection of 724 continue straight on Furnace Street (becomes Haycreek Road) until the road closes. Park in the stone lot and hike along the closed Haycreek Road to the climbing area (approximately 10 minuets). Requires crossing a shallow creek twice. Either wade trough the creek or a two wire walk across is available at both crossings. Guide: A complete guide is currently being developed. A preliminary route list and area map is available. Additional Info: Please stay clear of the reservoir. Due to the type of rock, loose rock is a given, helmets are strongly suggested. We are not responsible for the accuracy of this information or your safety. Climbing is inherently dangerous. Be careful. 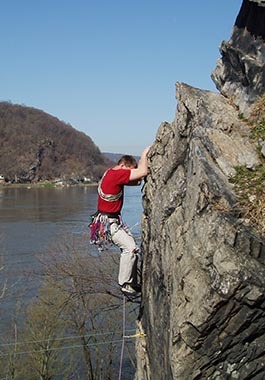 Chickies Rock is a popular climbing area along the Susquehanna River near Columbia. Chickies has climbs from 5.0 to 5.11 with the majority being between 5.4 and 5.10. 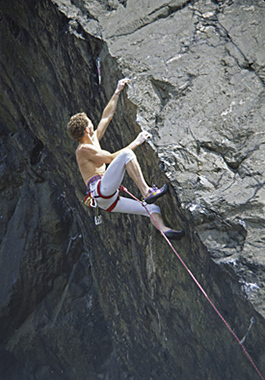 Climbing is done traditionally or on top rope. Directions: From 30, take 441 north approximately 1 to 1 1/2 miles. Park at the main parking area or at the bottom of the hill in front of the pump house (do not block pump house access). Follow the trail from the main parking area or the trail behind the pump house to the cliff. Guide: A guide was written in 1988 by Sue E. Holland but is no longer in publication. A basic guide for the Main Face is available based on Sue's 1988 Guide. Additional Info: Due to the possibility of hikers dislodging or throwing rocks from the top, helmets are strongly suggested. We are not responsible for the accuracy of this information or your safety. Climbing is inherently dangerous. Be careful. 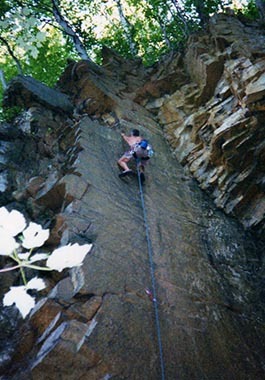 November 2011, the sport crag at Safe Harbor South was re-opened to climbing. The cliffs upstream of the dam (Safe Harbor “North”) were reopened November 13, 2014. Mountain Project has frequently updated information about how to get there, where to park, information about any possible access issues, and information on were specific climbs are located. Additional Info: Due to the type of rock, loose rock is a given, helmets are strongly suggested. We are not responsible for the accuracy of this information or your safety. Climbing is inherently dangerous. Be careful.